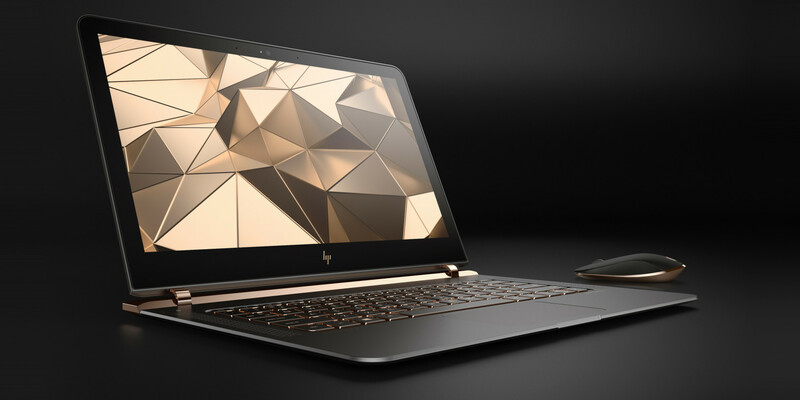 HP has launched a notebook that’s only 10.4mm thick and it’s called the Spectre 13. The makers are rightfully taking pride in the fact that Spectre 13 is the thinnest laptop ever made. HP Spectre embodies an eye catching design in its ultra thin aluminium chassis. It seems like HP intended to introduce something of a modern MacBook Air. But it ended up manufacturing a powerful laptop which is even thinner than MacBook(13.2mm)! The Spectre 13 sports a 13.3 inch display at 1080p protected by Gorilla Glass. No touchscreen or 4K resolution is available. To couple with its 8GB RAM, you can pick either Core i5 or Core i7 processor. It runs on Windows 10 operating system. A hybrid battery, creatively composed of thin pieces, provides a power back up of 9.5 hours. The storage is 256 GB for the base model. The Core i7 variant, however, has 512 GB of storage. The frame houses three USB C ports with Thunderbolt support. The device weighs 2.45 lbs. If you think the Spectre 13 isn’t a worthy competitor in the market of ultrabooks, there are crucial aspects to reconsider. To keep ultra thin notebooks from heating up, makers usually enclose Core M processors. Mike Nash, vice president of consumer PCs at HP Inc, explained that the Spectre 3 was specially made to meet user expectations. He claimed that 2/3 of laptop users prefer ultra thin notebooks to touchscreen ones. People also want their thin devices to be powerful. That is why HP chose to incorporate Core i5 and Core i7 chips instead of Core M, unlike Apple. Core i sure came with consequences of overheating and draining battery. But HP claims to have taken care of that. To prevent overheating, a heat pipe was used that distributes heat away from the processor. Two fans are also attached to help. The separate units of the battery ensures less draining. The device looks as premium as it gets with bronze borders along its edges. The new HP logo adds a perfect pint of elegance to the sharp looking dark chassis. Design-wise, it’s safe to say that HP outperformed Apple with Spectre 13. What’s your take on HP Spectre? Share with us in the comments section!